Looking for a new car for sale near Camp Lejeune? Turn to the extensive new vehicle inventory at Marine Chevrolet. You’ll find a wide variety of models at our dealership, from the popular Chevy Silverado 1500 to the powerful and capable Chevy Traverse. Come visit Marine Chevrolet when you’re ready to elevate your Richlands commute, and look through all of our new Chevrolet models for sale in Jacksonville. 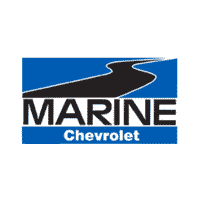 Why Choose a New Chevrolet from Marine Chevrolet? We’re standing by and ready to help you get behind the wheel of a model that suits your needs and budget. Whether you want to explore the Chevy Equinox interior, the Silverado towing capacity or a fuel-efficient vehicle to handle your roads trips to check out the best BBQ in North Carolina, visit our Chevrolet dealership in Jacksonville today. Contact us with any questions you may have!